How do you house the world’s most powerful supercomputer – while also meeting the needs of the humans who run it? 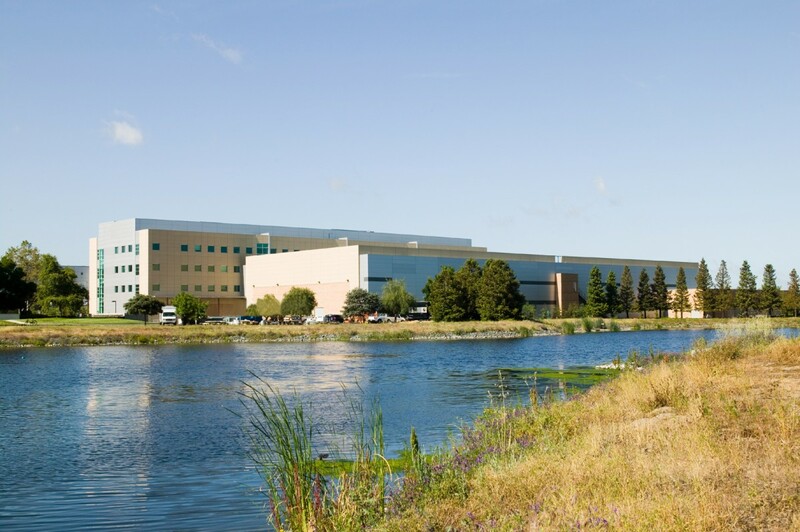 When Lawrence Livermore National Laboratory (LLNL) hired RMW to create the home for Sequoia, the world’s most powerful supercomputer at the time, it set some ambitious design goals: make the building flexible, scalable, reliable, sustainable, and beautiful. And do it all on a relatively tight parcel, for under $220 a foot. 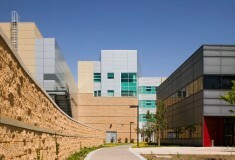 The resulting LEED® Gold certified 268,000-square-foot Terascale Simulation Facility (TSF) not only shelters Sequoia, it provides office and research space for nearly 300 scientists who use the computer for visualization and hardware prototyping. 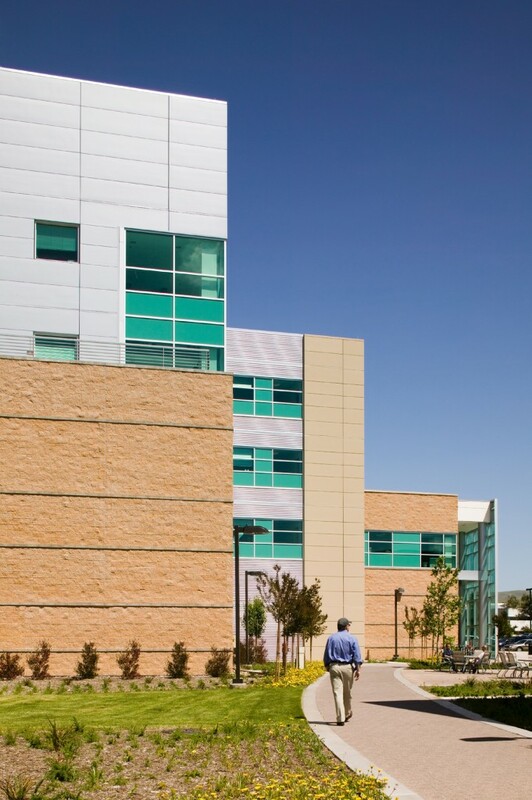 RMW met the challenge within the building’s 92,000-square-foot footprint by consolidating office and support functions in a four-story office tower, oriented to create a plaza that connects the TSF to adjacent campus buildings. 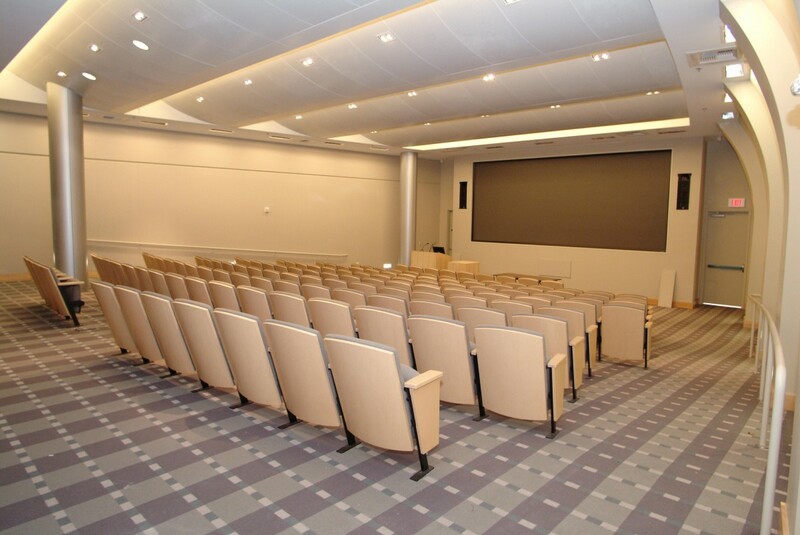 This office tower includes a 150-seat auditorium and visualization theater for unclassified presentations, a second visualization theater for classified reviews, and an operations hub that controls the computation directorate’s high-performance computers across the Livermore site. 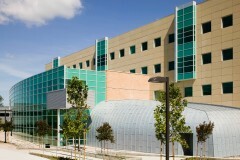 The supercomputer resides on the second floor of a two-story wing. 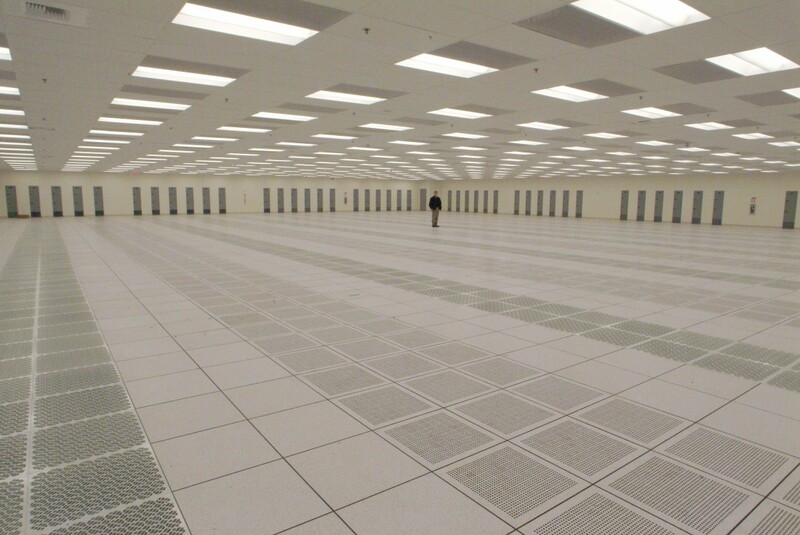 Part of the sustainable design approach was to make the computer floor more efficient by designing it as an upside-down clean room, with HVAC tucked underneath. Air units under the computer room blow cool air up to the second level, where it is recaptured and forced into large return-air plenums for recirculation. 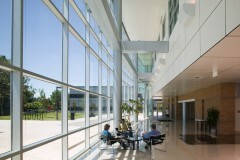 Other sustainable strategies include extensive use of natural light in the office tower to reduce the necessity of artificial lighting. 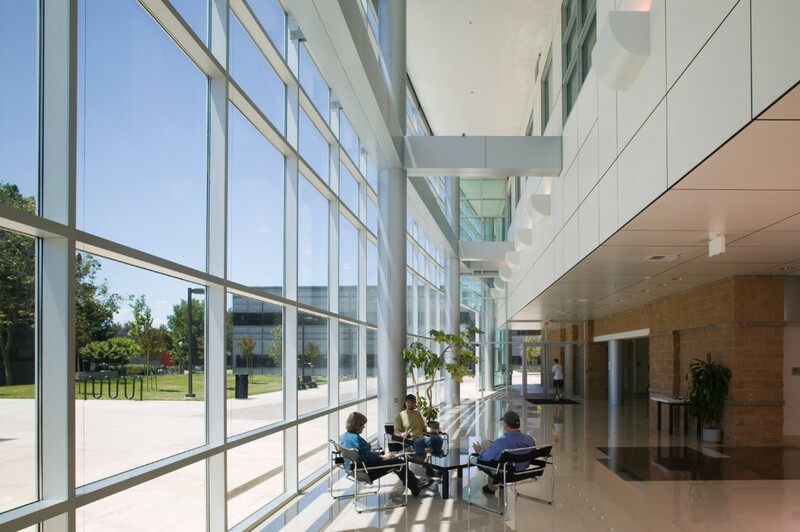 The centralized stair/atrium was provided with a skylight and an array of floor-to-ceiling windows at the ends of corridors to grab natural light and provide views for orientation. 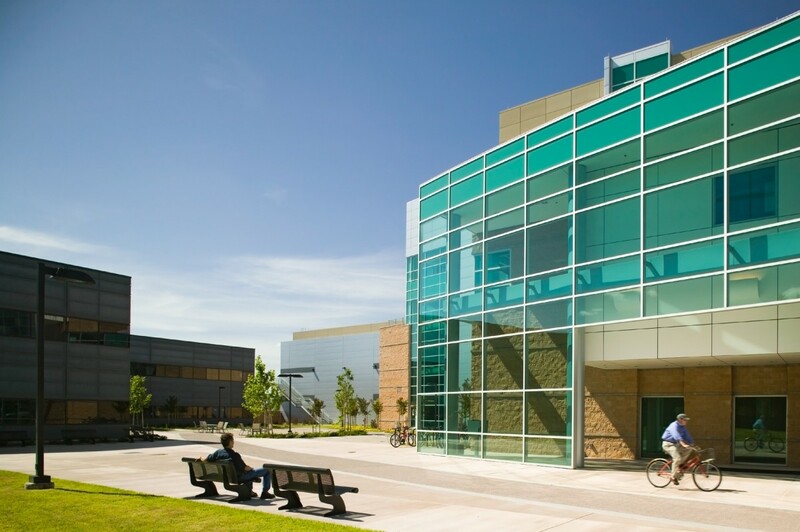 A one-of-a-kind facility that did not match up with any of the typical LEED® building type models, TSF required a unique research and calculation package to prove to the U.S. Green Building Council that it was worthy of Gold status. RMW continues to work with LLNL to make the TSF as green as possible. 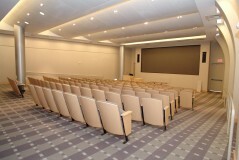 Most recently, we provided architectural services for modifications to the computer floor that will allow the TSF to take advantage of “free” seasonal and nighttime outside air variations to help cool the computer rooms. The modifications included a new wall structure with louvers and dampers to allow outside air in or exhaust air out, humidifiers, exhaust fans, and associated controls. 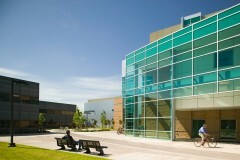 The renovation enables the directorate to save an estimated $1 million annually in energy costs. Sequoia supports the Advanced Simulation and Computing (ASC) Program, a part of the Department of Energy’s National Nuclear Security Administration and an important component of stockpile stewardship. Abutting the entry lobby, the whimsical “Armadillo Room,” a zinc-clad structure resembling an armadillo’s armored body, houses the 3D simulation auditorium and recalls the design vernacular of LLNL in the Atomic Age.